KARACHI, Pakistan (Reuters) – Pakistan’s Prime Minister Nawaz Sharif will be questioned on Thursday by investigators probing how his family obtained its vast wealth, the first time a sitting Pakistani premier has appeared before any investigative agency. 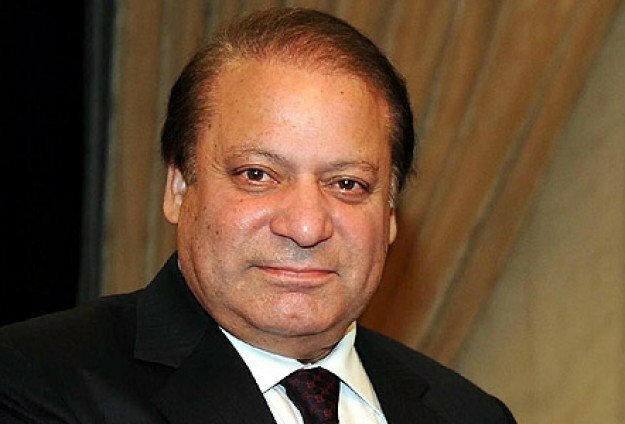 Sharif’s office on Monday confirmed the prime minister had received a summons by the Joint Investigation Team (JIT), set up by the Supreme Court to investigate corruption claims that surfaced following the Panama Papers leak. It said he would be attending an interview on Thursday. Pakistan’s stock market slumped 4 percent as the news sent shudders through investors, fearful that instability in its fragile democracy would undermine an economy that has shown stronger growth in recent years. Sharif has denied any wrongdoing over his family allegedly using offshore companies to buy luxury flats in a posh London neighbourhood, and said his family wealth was acquired legally. His spokesman did not respond to requests for comment over the latest development. In April, the Supreme Court ruled that there was insufficient evidence to remove Sharif from office on the back of Panama Papers leaks, but it ordered further investigations. The JIT team comprises members of civilian agencies, such as the Federal Investigation Agency (FIA), as well as members of powerful military bodies, including the Inter-Services Intelligence (ISI) agency. The JIT’s work has become highly politicised in recent weeks. Sharif’s camp has sought to remove two members of the JIT team, and his PML-N party voiced outrage over a leaked photograph taken from security camera footage showing Sharif’s son, Hussain, appearing before the JIT. According to the summons document, seen by Reuters, JIT asked the Prime Minister’s office to bring “all relevant record/documents/material” to the interview at its office in the capital, Islamabad on Thursday. “It’s a litmus test of our laws that are all citizens are equal in front of law, so we believe that Nawaz Sharif should appear before JIT in this case,” said Naeem ul Haque, spokesman for opposition Pakistan Tehreek-e-Insaf (PTI) party. The Supreme Court began investigating Sharif after the main political parties failed to agree on a committee to probe the Panama Papers leaks, and PTI’s chairman, Imran Khan, threatened mass protests and to shut down Islamabad. If Sharif survives the JIT probe, opinion polls suggest he is favourite to win the next election, due by June 2018. Sharif, a three-time prime minister, was ousted twice in the 1990s, including by a military coup in 1999, but he swept back to power in an election in 2013. The internal political tensions have coincided with a fresh bout of tension with arch rival India. Pakistan’s Foreign Office summoned India’s deputy high commissioner on Monday after an outbreak of cross-border shelling in the disputed Kashmir region, in which it said one person was killed and several wounded.